It is indeed pure luxury to have an automatic watch that will last for 80 hours in addition to providing a pure and divine look. These exceptional qualities are owed to the way the piece is worked and to its revolutionary Powermatic 80 movement. This movement will provide you with the luxury of forgetting about time for more than three whole days if you choose to and still be just on time to start your busy schedule back up after that nice little break. 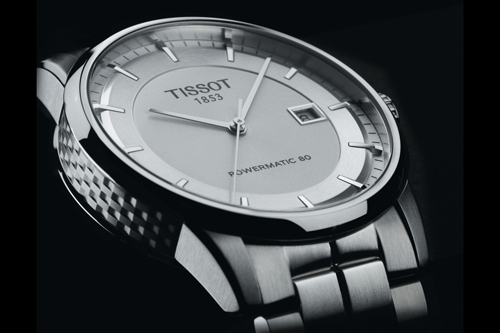 The Tissot Luxury Automatic exudes a majestic essence. It expresses natural class through the purity of its colour, while pure sophistication is conveyed by its meticulous design. The many details strengthened by playfulness between polished and satin surfaces are what give this watch an undeniable richness. The Tissot Luxury Automatic has thousands of facets, its exterior being just merely an added touch that makes it even more irresistible. However, it is thanks to its heart that this timepiece is truly exquisite. Tissot has given rise to an exceptional creation of ultimate precision thanks to the art of watchmaking that it has mastered down to a science. Certain models even bear the COSC (Contrôle Officiel Suisse Chronomètres) certification. 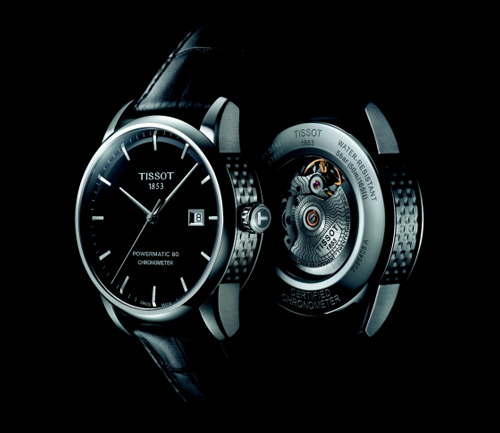 The Tissot Luxury Automatic is at the very core of what the brand stands for – luxury at an affordable price.